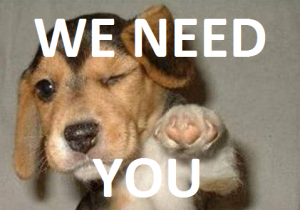 And Now, We Need You! The ZULU tribe needs you to put content on this blog. ZULU blog is yours. Now is the time to own it and use it. Please use the comments herebelow to suggest ideas, projects and inspiration for the rest of the ZULU tribe. 1) Find a fellow member of the tribe to work with. You are a team. The blog post has to end with questions that move the reader to action, makes the reader think and prompts the reader to write comments on the post. Who will you work with? List the members of your team in the comments below. What will you post about? Describe your team project in the comments below. This entry was posted in INSPIRATION, LESSON 5, TEAM PROJECTS. Bookmark the permalink. Doesn’t look so hard, does anyone want to team with me? I am interested in teamwork. How about a team that plays Minecraft or other video games? Great idea Anderson! Could you write a post to expand on the concept of a team playing and maybe programming Minecraft? Me, and Olivia are a team we are going to be blogging about environmental stuff.